Fennel is also known as sweet fennel, Florence fennel or finocchio (Italian). Italy and France produce more fennel than any other country. It’s filling and yet very low in calories, so is excellent for snacking when you’re watching your weight. It has a mild, sweet flavour. Heat olive oil in a skillet or saucepan over medium heat. Add the fennel seeds and lightly brown them. 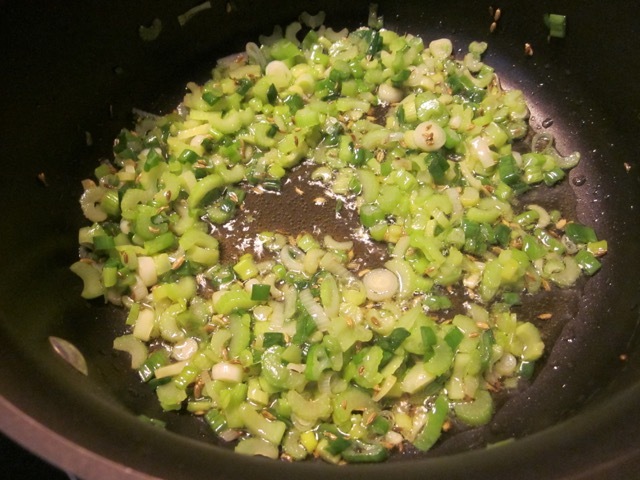 Add the leek and sauté about 5 minutes until soft. 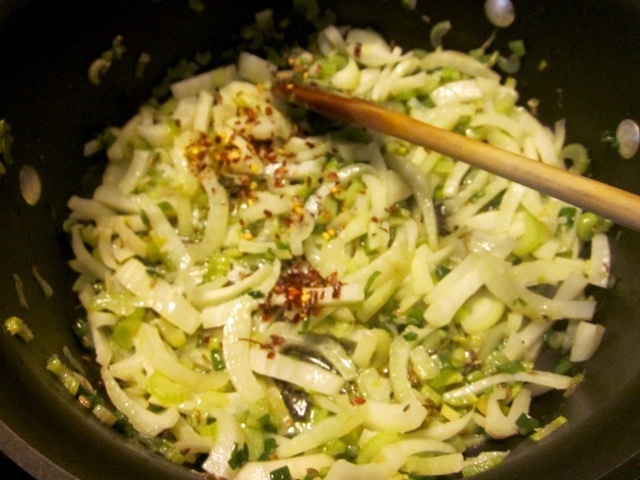 Add the fennel and continue cooking under medium low heat until they soften. Season with salt and pepper. Stir in the Pecorino Romano and stir gently until creamy. Adjust seasoning. 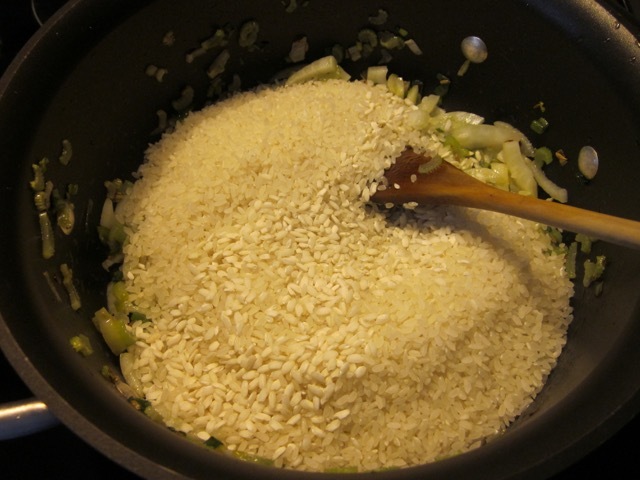 Let the rice rest for a few minutes and serve topped with the extra Pecorino Romano. Bring chicken or vegetable stock to the boil over high heat, in a small pot. Reduce the heat to low and keep the stock (broth) hot. Heat olive oil in a skillet or saucepan over medium heat. Add the fennel seeds and lightly brown them. Add the leek and sauté about 5 minutes until soft. Add the fennel and continue cooking until they soften. Season with salt and pepper. Add the rice and stir for about 2 minutes until the rice is fully coated with oil. Add the wine and cook until fully absorbed. Add 1 cups of the hot stock and cook stirring over medium-low heat until absorbed. Gradually add the remaining stock, half a cupful at a time, allowing the rice to fully absorb the liquid before adding more and stirring constantly. (After the addition of at least 7 cups of stock, you can taste and gauge for the degree of doneness of rice and the creaminess of risotto. Whenever you feel the rice is al dente and risotto is creamy enough you can stop cooking. If you want a softer, looser risotto, incorporate more stock). 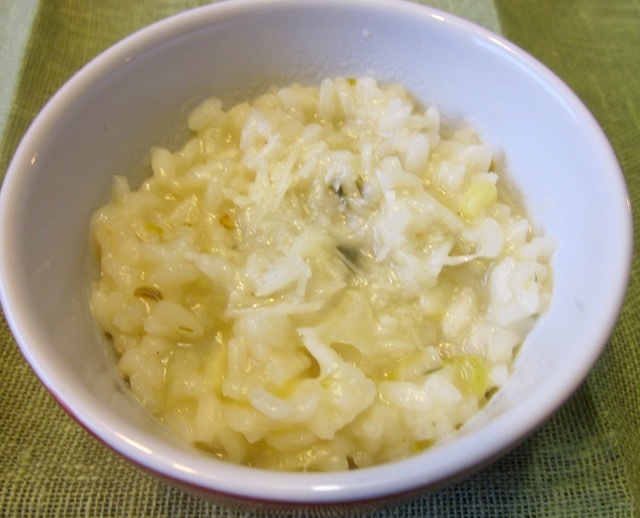 Once all the stock has been absorbed (20-25 minutes), the rice should be soft and creamy, with a slight resistance to the bite. Add the Pecorino Romano and stir gently until creamy. Adjust seasoning. 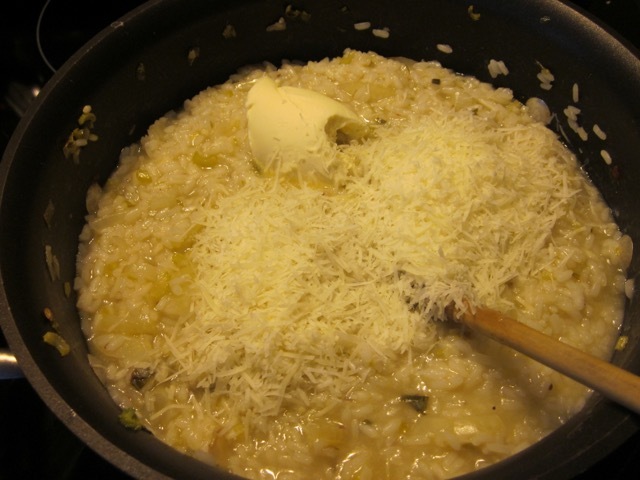 Let the rice rest for a few minutes and serve topped with the extra Pecorino Romano. Prev What is Bulgur Wheat? Oh how I just love risotto! I finally tried baking risotto and love it, so much easier than hanging around a skillet stirring all the time. Omg is that possible? Can I have the recipe or tips on how to do it in the oven? Thanks. It us possible and delicious! My recipe is from the cookbook The Clever Cookbook. Search Pinterest and you’ll find lots of recipes too. Okay thanks for the tip and have a pleasant day! This sounds very interesting, Liz. 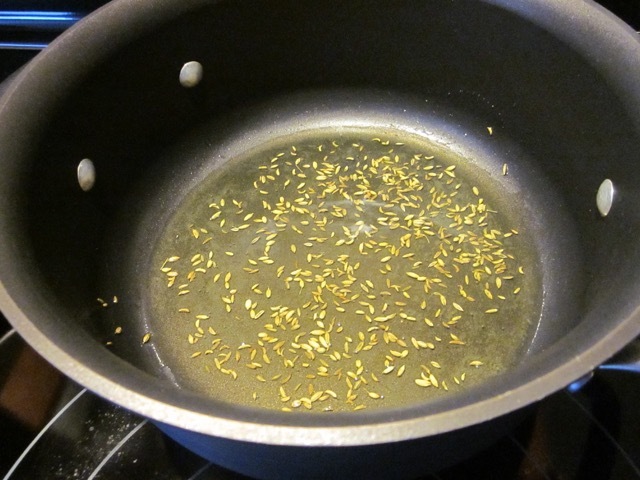 Using fennel in risotto is new for me but something I’m going to try. Thanks! It tasted really nice. I love fennel. it’s great for weight watchers! Your risotto looks delicious!! Love the fennel and leek combo! It really had a great aroma. We really enjoyed it. Thanks and do have a great weekend. 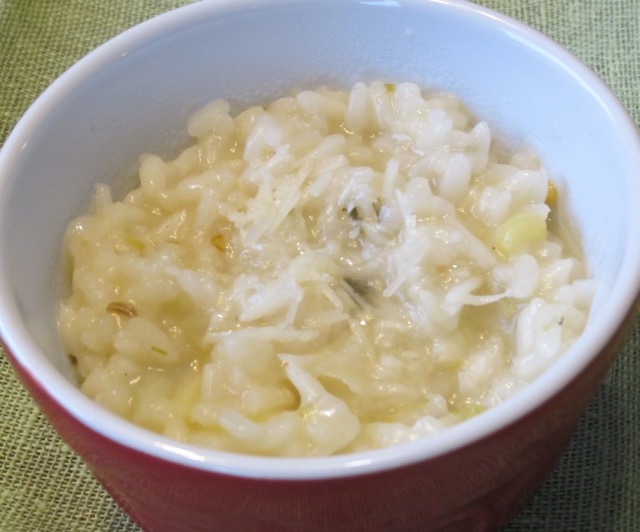 My experience making risotto was a disaster, I think electric stoves are horrible in some ways when trying to adjust temperature….mine was too hot, even on low and I ended up with a dry almost burnt mess! However, yours looks absolutely divine! It looks like a “comfort food” and right now I sure could use it….picked up a virus and it’s laid me up for days already! So for now, I shall simply gaze at your dishes and pretend I’m having it for dinner! Hope all is well with you Liz. Sorry to hear you picked a virus. I hope you feel much better. I just made a roasted butternut squash risotto tonight for appetizer. It tasted great but I’ve been eating so much today we skipped the entree. Have a wonderful weekend. I love risotto! This looks perfect for spring as well! Oh yes, the aroma was tantalizing! I adore fennel. This looks lovely Liz. Me too! Have a lovely week!